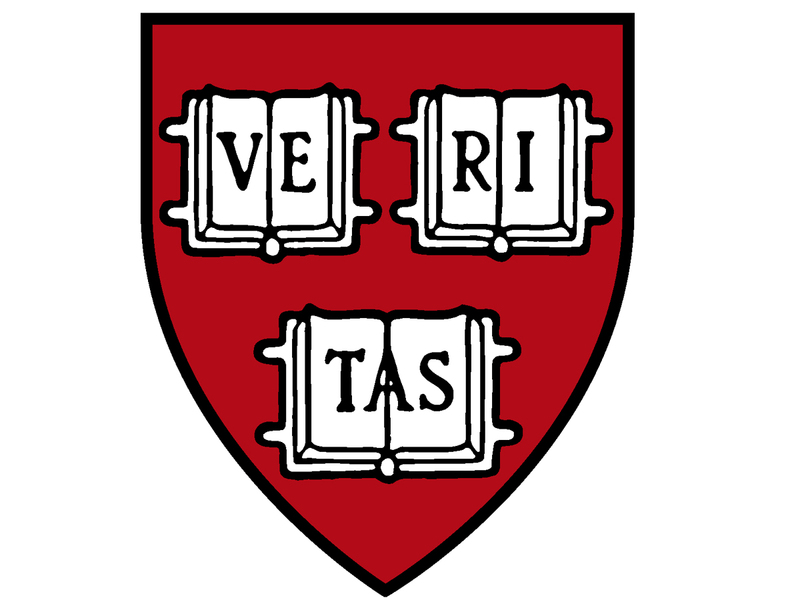 The Crimson reported this afternoon that undergraduates have filed a complaint against Harvard with the U.S. Department of Education's Office of Civil Rights, alleging that the College's sexual-assault policies violate federal law. The Crimson identifies an organizer of Our Harvard Can Do Better as a lead complainant in the filing. (The organization's website links to the wider Know Your IX campaign, referring to the federal Title IX law and regulations.) Such complaints have been filed on other campuses in recent years. Updated, 5:45 p.m. Our Harvard Can Do Better's news statement on its complaint is available here. It says, in part, "We acknowledge the recent steps Harvard has taken to reexamine Title IX compliance on campus. Nevertheless, Harvard’s consistent shunning of student voice on the issue of sexual assault policy has led us to believe in the need for an externally-imposed mechanism for oversight of the policy review process to ensure its accountability to survivors." The University issued a statement, commenting, in part, "We have not seen the complaint and we do not comment on such matters. However, Harvard, as a University and as a community, takes the issue of sexual harassment and sexual violence extremely seriously. In recent years, we have created the Office of Sexual Assault Prevention and Response; appointed the first-ever University Title IX officer; identified and trained Title IX coordinators at the College, as well as the other Schools; and undertaken a review of all Title IX policies and procedures. Work towards implementing a new, University-wide Title IX policy and set of procedures is nearing its completion." A University community must foster the respect and civility that nurture exploration, learning, and discovery. Sexual assault is an affront to the personal well-being and dignity that rest at the heart of what Harvard seeks to be. In its threat to safety, sexual assault not only damages individuals but erodes the trust on which our work and lives together depend. In recent years we have intensified our efforts to ensure we are responding as effectively as possible to reports of sexual assault and other unwelcome sexual conduct. For example, Harvard has expanded its resources to include a cadre of trained Title IX coordinators working in collaboration with the University’s new senior Title IX officer. This group will create and implement new and more robust policies addressing our responsibilities under Title IX legislation and the new Violence Against Women Act. But we must do more than just meet our legal obligations. As members of the Harvard community, we have the responsibility to improve our efforts to prevent sexual assault from occurring and to make sure we are doing all we can to aid those who have experienced it. This will require us to make a forthright evaluation of our campus, to ask wide- ranging questions about the environment that enables sexual misconduct to take place and the nature and adequacy of our institutional response. Dr. Hyman has a deep understanding of public and mental health issues, and during his tenure as provost was instrumental in the creation of the Office of Sexual Assault Prevention and Response. The task force he will lead will include faculty and students from a range of schools across Harvard. This will be difficult but important work, and I am grateful to all the task force members who have agreed to devote themselves to it. I am confident that the task force’s work and resulting recommendations will help reinforce our commitment to trust, respect, caring, and inclusion as fundamental tenets of an educational environment in which all have the opportunity to thrive. Sexual assault and other unwelcome sexual conduct are matters of increasing concern for colleges and universities, including Harvard. This behavior is antithetical to the core obligations we owe one another in a community of learning and discovery, which must be based in openness, mutual respect, and trust. The University-Wide Statement on Rights and Responsibilities, adopted more than 40 years ago, underscores that a vibrant academic community is characterized by “respect for the dignity of others” and “freedom from personal force and violence.” We must reinforce these norms as part of a shared commitment, individually, collectively, and institutionally, to work to eliminate sexual assault and other unwelcome sexual conduct at Harvard. Harvard devotes considerable resources to addressing sexual misconduct affecting our students. Each of the University’s Faculties has adopted strict student disciplinary rules punishing sexual misconduct. Established in 2003, the Office of Sexual Assault Prevention and Response provides important assistance to students who have experienced sexual violence. Last year, the University hired a senior Title IX officer, who has systematically bolstered the Title IX support system that reaches into every corner of the University. She has also convened a cross-University group that has worked throughout the academic year on new policies and procedures designed to internalize the evolving legal requirements of Title IX and other laws. The legal requirements relating to sexual violence on campus have in fact significantly expanded. In the past three years, Congress has enacted new legislation, the Department of Education has issued new guidance, and President Obama has convened a cabinet-level task force. These efforts reinforce Title IX’s proper mandate that no student be denied effective access to any educational program or activity on account of gender, including as a result of sexual assaults or other forms of sexual harassment. Harvard must and will meet our legal obligations, but those obligations should not alone define Harvard’s commitment to providing an educational environment in which all students have the opportunity to thrive. We can indeed do better, especially in the realm of awareness and prevention. Much of the current national focus has been on how higher education responds to sexual violence after it has occurred. This is important and necessary work. Yet we should also be reducing the likelihood of incidents occurring in the first place, including through means that reinforce the sort of community we seek to be and the obligations we owe to one another. Can we understand more about the realities and circumstances of sexual assault at Harvard? The task force should evaluate existing data gathered by the Schools and Harvard University Health Services and conduct other outreach, including anonymous surveys, as appropriate. The goal is to gain insight into campus culture and the frequency and nature of sexual misconduct affecting Harvard students. Are there common patterns for sexual misconduct? Are there specific locations or situations that present particular risks? What are the perceptions and realities of the impact of sexual misconduct on individuals and the community? Do the student populations at the graduate and professional Schools differ from those at the College in ways that indicate different approaches? How often do situations cross School boundaries and thereby potentially present distinctive challenges? What is the role of alcohol and other drugs? What educational resources and other forms of outreach, including at orientations and similar events, do we currently make available to address both healthy sexuality as well as sexual misconduct? Do members of our community have a clear understanding of what sexual misconduct entails? Are we doing all that we should to use students’ social networks to encourage bystander intervention and reporting? How are the University’s messages and values reinforced throughout a student’s time at Harvard? Which approaches are effective and which warrant rethinking? Do students know about options and resources if they or classmates experience unwelcome sexual behavior? How might existing communication gaps be closed? What factors make a student more likely to report? Do students know about the potential consequences (both institutional and legal) if they violate community values and their School’s disciplinary rules? Are faculty and other members of the Harvard community properly informed about how to help a student who reports having experienced sexual misconduct? What can we learn from other institutions and social science research about how to reduce the incidence of sexual misconduct on college and university campuses? How do we build a campus climate that fosters prevention and offers maximum support to those who experience sexual violence? The task force will seek input broadly from students, faculty, administrators, law enforcement, and subject matter experts, both at Harvard and nationally. It is asked to make recommendations about how Harvard may improve its prevention efforts, whether University-wide or at the School level. Finally, it is asked to reflect on how the institution should best periodically evaluate the effectiveness of its approach to sexual misconduct, with a particular sensitivity to a holistic approach that focuses on prevention as well as on responsiveness. Task force members include the director of University Health Services, faculty members, students, administrators from diverse schools, and a member of the Board of Overseers.